Sitting at my computer with the ABC’s ‘Rage’ on in the background, when on came a video by an artist who’s taken the moniker ‘Montaigne’, and how could I not be attracted? Good luck to her. I first stumbled on the original Montaigne decades ago, and like thousands before and since, I was fairly blown away. He’s been an inspiration and a touchstone ever since, and to think I’m now approaching his age at his death. One thing he wrote has always stayed with me, and I’ll misquote in the Montaignian tradition, being more concerned with the idea than the actual words – something like ‘I write not to learn about myself, but to create myself’. This raises the importance of writing, of written language, to an almost ridiculous degree, and I feel it in myself, as I’ve sacrificed much to my writing, such as it is. Certainly relationships, friendships, career – but I was always bad at those. All I have to show for it is a body of work, much of it lost, certainly before the blogosphere came along, the blogosphere that retains everything, for better or worse. 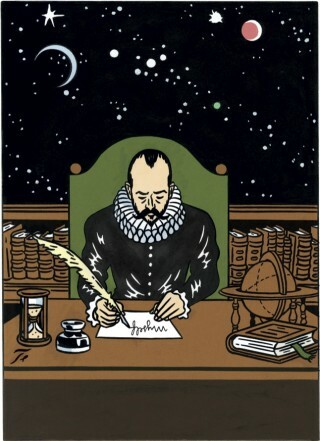 The New Yorker captures the appeal of Montaigne well. He wasn’t an autobiographical writer, in that he didn’t dwell on the details of his own life, but as a skeptic who trusted little beyond his own thoughts, he provided a fascinating insight into a liberal and wide-ranging thinker of an earlier era, and he liberated the minds of those who came later and were inspired by his example, including moi, some 400 years on. So, I’d like to make my writings a bit more Montaignian in future (I’ve been thinking about it for a while). I’ve been focussing mainly on science heretofore, but there are hundreds of bloggers better qualified to write about science than me. My excuse, now and in the future, is that I’m keen to educate myself, and science will continue to play a major part, as I’m a thorough-going materialist and endlessly interested in our expanding technological achievements and our increasing knowledge. But I want to be a little more random in my focus, to reflect on implications, trends, and my experience of being in this rapidly changing world. We’ll see how it pans out. It’s not so much the sensual avidity shown by the 19-year-old that intrigues me here, but the religious attitude (and the fascinating reference to Islam). For someone about to embark on a godly career – though with the definite intention of using it to further his passion for naturalism – such a cavalier treatment of religion, albeit the wrong one, as ‘inside the noddle’, is quite revealing. 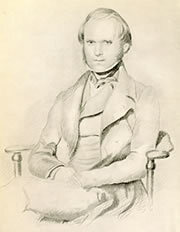 But then Darwin’s immediate family, or the males at least, were all quasi-freethinkers, unlike his Wedgewood cousins. Darwin never took the idea of Holy Orders seriously.